To accelerate your market strategy and increase time effectuality, a Connected Business depends on accessible and integrated business capabilities. 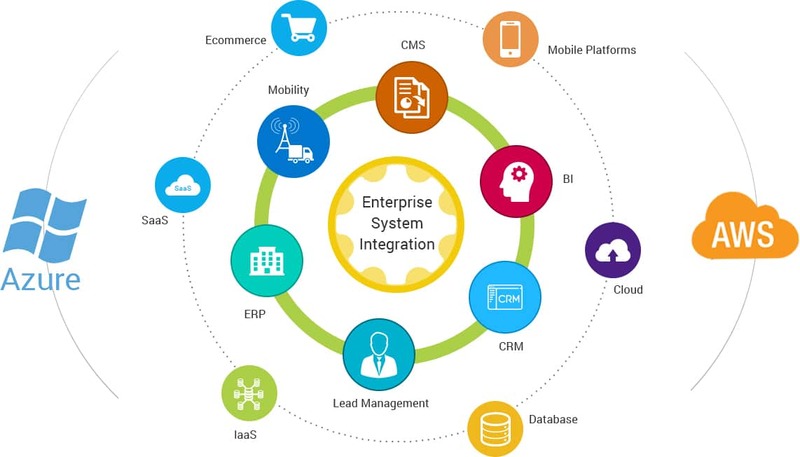 Informatics Integration Platform reshapes your enterprise integration architecture and creates an integration environment where project teams can easily connect, re-use, and compose data, APIs, legacy mainframe assets, and services into effective business solutions. Transform your business message with content routing and protocol mediation that loosely couple service consumer with service provider. ESB adapts protocols with any IT asset by implementing Enterprise Integration Patterns and Message Exchange. Re-use resources accessibility and development community enlargement is crucial to any business. API Management parts enforce service level tiers and supply developer self-service, with API disapproval, toward facilitate integration governance best practices. Efficient registry helps track dependencies, facilitate life cycle management, encourage teams to collaborate, and guide the development process. Servers will give a light-weight, friendly, agile development approach to secure and manage integration across information storages, perform information transformation, enforce information validation, and make composite information views. Exchanges communications to publishe messages in specific timely access by many customers. IT cloud reduces the barriers to entry for local and global markets. Access to IT capacity networks is now inexpensive and scalable. Mobile broadband that is personalized for each user combined with social media and messaging has redefined customer reach, engagement, distribution, and customer service. The integration of endpoints connected with scalable compute resources streamlines multi ways of industrial and consumer processes. Your business Capital, notably in developing markets, is instantly obtainable as investors reward innovation and growth. Globalization needs corporations to pioneer new merchandise to attain goals, additionally to become cheap operators to sustain market position.